It’s been another interesting week here at Taste the Cracklin, as the team found themselves serving their famous pigs in buns in the middle of a damp field to the staff of a stationery company. We were first contacted by Carol, the branch manager who’d been tasked with organising the event, and she told us how she wanted the day to pan out. As part of a team bonding initiative, her staff would all attend an archery day out in the countryside, where they would practice their shooting, share in the experience of learning a new skill, and dine on wonderful artistic cuisine, courtesy of us. We were to provide a Hog Roast during the lunch hour of the all-day event, and our chef and catering assistant were on site at the archery centre, for first thing in the morning, just as the staff from the stationery company were arriving. As they went and had their first lesson, we set to work getting the Hog roasting, and the Gazebo set up, to protect the food and the serving tables on the off chance of rain. 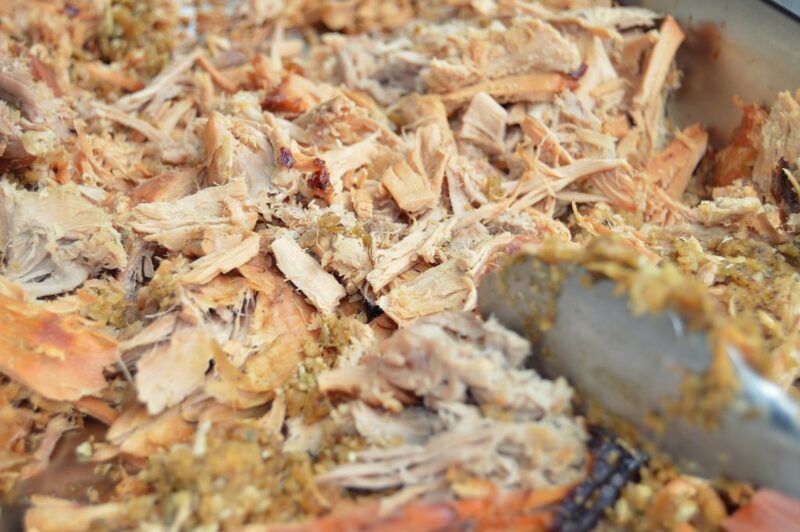 As we slow cook all our meats, it is vital that we arrive early, as we need enough time to make the serving time, and we will never compromise on our method, as the art of roasting a Hog slowly over time, is the key to our fresh tasty food. When twelve noon came around, the team from the stationery company, as well as the staff at the archery centre, were treated to our wonderful Hog Roast, complete with crusty bread rolls and a selection of sauces. The team from Taste the Cracklin, served their pigs in buns on high quality disposable plates and provided napkins. Luckily the sun was shining, and aside from the damp muddy ground, everybody enjoyed dining al fresco. When everyone was finished, it was time for the stationery team to split into groups for the afternoon tournament, whilst the team from Taste the Cracklin tidied away their mess discreetly and disposed of any of waste off site. If you have an important corporate event coming up, and you want to get it right, then give the team at Taste the Cracklin a call.